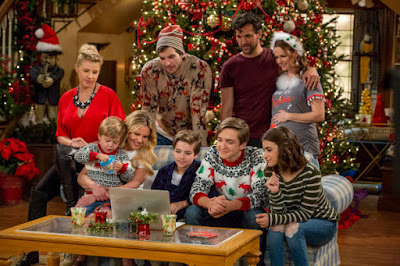 ADAM HAGENBUCH BRENT MORIN CANDACE CAMERON BURE comedy FULLER HOUSE JODIE SWEETIN MICHAEL CAMPION SAVE THE DELI SCOTT WEINGER SITCOM COMEDY WEDNESDAY: FULLER HOUSE SEASON 4 TRAILER AND POSTER ARE HERE! BRENT MORIN TO LEAD NBC'S NEW DEPARTMENT STORE SITCOM! NBC DEVELOPING SAVE THE DELI MULTICAM SITCOM! COMEDY WEDNESDAY: FULLER HOUSE SEASON 4 TRAILER AND POSTER ARE HERE! BRENT MORIN TO LEAD NBC'S NEW DEPARTMENT STORE SITCOM! NBC DEVELOPING SAVE THE DELI MULTICAM SITCOM! Comedy all the way today! We fell in love with him in one of TV's most original sitcoms Undateable, and now the ever so talented and charming Brent Morin is coming back as the star and co writer of new NBC multi camera sitcom in which he will play Andy Hewitt who, in a desperate attempt to prove himself to his family after losing his dream job, has no choice but to take a retail job at the world’s most fashionable department store. Speaking of stores and comedies, NBC is also developing multicam sitcom SAVE THE DELI based on David Sax' book which centres around a young woman, who much to the shock of her family, friends and mostly herself, becomes the new owner of her Chicago family deli after her grandfather dies. Naturally, her very opinionated staff and family members make the job unbearable since they all have conflicting ideas of how to save the deli. HAPPINESS IS BACK WITH SEASON FOUR TRAILER! The first episode will be a Christmas set one! As always the new season will feature dance and singing numbers! Kimmy (Andrea Barber) who is carrying a baby for Stephanie (Jodie Sweetin) and Jimmy (Adam Hagenbuch)! Juan Pablo Di Pace, Soni Nicole Bringas, Elias Harger, John Brotherton, Ashley Liao also star.